We, the Donskov family, love the game of hockey. It is this passion that fuels us and helps us understand and motivate hockey players. DHD is built on QUALITY instruction. 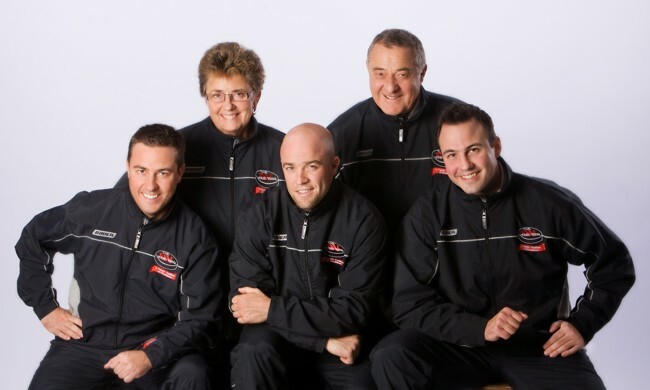 All of our family members have enjoyed successful hockey careers and, more importantly, are superb instructors. Outstanding qualifications, a strong work ethic, and a genuine concern for teaching and promoting the game of hockey to our athletes, are all characteristics of The DHD Team. Meet our staff! 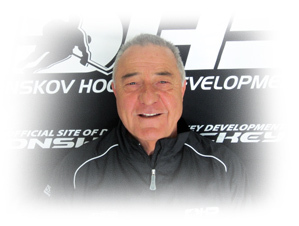 Paul has spent decades teaching, coaching, and instructing the game of hockey in Canada and in the United States. Paul is a Canadian NCCP Level V and Canadian National Level III coach. Paul has worked in various capacities including General Manager, Hockey Director, Hockey Operations Consultant, Player Development Program Director, and Power Skating Instructor in central Ohio. Additionally, Paul is a member of the Board of Directors for the Ohio “AAA” Blue Jackets (Tier I Elite “AAA”). Paul continues to be involved with the Coaches’ Education Program in both the USA as well as Canada. 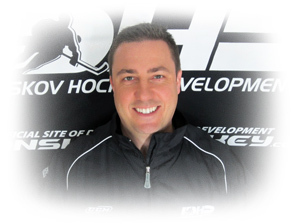 As a member of USA Hockey, Mid-Am District, Paul serves as an on ice instructor and an evaluator for the “Select Camps”. Misha joined the National Hockey League's Vegas Golden Knights as Director of Hockey Operations on August 8, 2016. In this role, he works closely with the front office management group in the overall operations of the hockey club. Prior to joining the Vegas Golden Knights, Misha worked with Hockey Canada’s Men’s National Teams where he served as Manager, Hockey Operations/Analytics & Video. On July 1, 2016, he was appointed Assistant Coach/Hockey Operations for the Men’s National Teams. During his time with Hockey Canada, Misha won a gold medal at the 2016 World Cup of Hockey in Toronto, serving as an Assistant Coach on Mike Babcock’s staff. In addition, Misha has won a gold medal with Canada at the 2016 IIHF World Championship in Russia, the 2015 IIHF World Championship in the Czech Republic, the 2015 IIHF World Junior Championship in Toronto and Montreal, and with the 2013 Under-18 Team at the Memorial of Ivan Hlinka tournament in the Czech Republic and Slovakia. Misha won a bronze medal with Canada’s National Men’s Under-18 Team at the 2014 IIHF U18 World Championship in Finland. He also served on Canada’s coaching staff for the Canada-Russia Challenge, CHL Subway Series and Deutschland Cup. Prior to his work with Hockey Canada, he was an Associate Coach with the OHL’s Ottawa 67’s from 2012-14, and spent three seasons with the London Knights, serving as Assistant General Manager and Assistant Coach, winning an OHL championship in 2012. 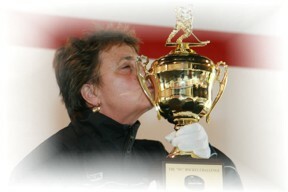 In 2011, Misha won a gold medal with the US Women’s National Team in Zurich, Switzerland serving as Player Development Coach and Advanced Scout. Misha also spent eight years working with the NHL’s Columbus Blue Jackets and Atlanta Thrashers within hockey development, community development, fan development, marketing and hockey operations. Prior to pursuing a coaching and managing career in hockey, Misha spent six years with Cardinal Health, a Fortune 500 health care services company where he held roles of increasing responsibility within finance, sales, and sales management. He played hockey at the junior, university and semi-professional level in Canada, the United States, Sweden and Norway. 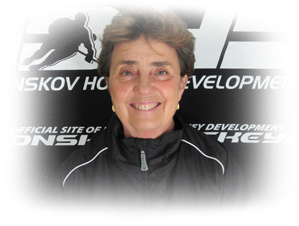 Misha holds a Hockey Canada National Coaching Certification Program High Performance I and High Performance II Coaching Certification and is a Certified Hockey Canada Skills Coach. In addition, he holds a USA Hockey Level V Masters Coaching Certification. 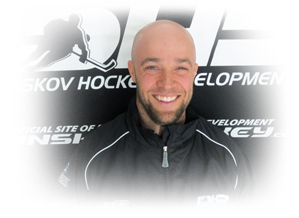 Anthony has an extensive instructing background having worked with players at all levels of the game (learn-to-skate – pro) in the United States and Canada. He played two years of professional hockey (2001 - 2003) for the Lubbock Cotton Kings of the Central Hockey League. Anthony was named the 2003 Central Hockey League's "Man of the Year" for his leadership on the ice and in the community. Prior to playing professional hockey, Anthony played four years of college hockey at Miami (OH) University (CCHA), where he served as an assistant captain his senior year. Anthony also played three years of junior hockey in the U.S. and Canada. 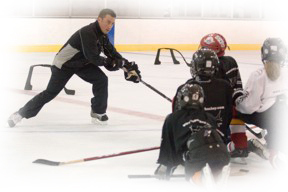 Anthony received his USA Hockey Level V Masters Coaching Certification in September 2007. His thesis on 'Off-Ice Conditioning' proposed an integrated, systematic approach in designing off-ice protocol for injury prevention and performance enhancement. Anthony is certified through the National Strength and Conditioning Association (CSCS) and the National Academy of Sports Medicine (PES). He is the founder of Donskov Strength and Conditioning, Inc., where he trains elite athletes (NHL | National | Div I), sports teams and general clientele. Anthony is currently serving on the Strength & Conditioning staff of the US Women’s Hockey National Team. Matthew has worked in various capacities as a hockey instructor in Central Ohio, including the Columbus Blue Jackets Hockey Schools. He played four years of college hockey at SUNY Cortland where he was a two time captain, a Verizon Academic All-American and the national leader in power play goals (2002). He currently sits sixth all-time on the school scoring list. After his career at Cortland, Matthew signed with the Rio Grande Valley Killer Bees of the Central Hockey League and had a brief stint as a professional. Prior to playing at Cortland, Matthew played three years of junior hockey in Canada where he was a 1998 draft choice of the North Bay Centennials of the Ontario Hockey League. 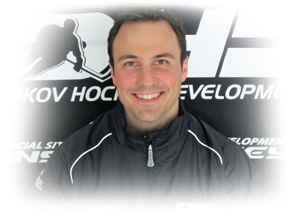 Matthew holds a USA Hockey Level IV Advanced Coaching Certification. Matthew currently resides in Columbus, Ohio and is the Director of Business for Donskov Strength & Conditioning, Inc. Prior to joining DSC, he spent 6 years with Cardinal Health as a Medical Device Sales Consultant in Jacksonville, Fl. Debbie oversees all aspects of the registration process and provides day to day support to Paul, Misha, Anthony, and Matthew. A true hockey mom, she has spent countless hours supporting her sons over the course of their hockey careers. Debbie grew up in Southern Ohio and is a retired middle school teacher. "I am pleased that my sons enjoy "giving back" their knowledge to young hockey players. Through their experiences and growth at all levels of hockey, they have created a unique learning environment based on intensity and work ethic…all while having FUN."